Watch for signs of dementia in your loved one, so together you can plan for the future before the condition worsens. Someone you love—your parent, your spouse, a good friend—is showing signs of dementia: forgetting more often, being confused or perhaps exhibiting uncharacteristic behavior. You’re worried it could be Alzheimer’s or some other form of dementia, but because you know that nothing can be done, you keep quiet, hoping you’re wrong. You can reverse some cognitive problems that mimic dementia, such as depression or a vitamin B12 deficiency. Although there is no cure, Alzheimer's medications can temporarily slow symptoms, improve quality of life and prolong independence, which also helps the patient’s caregivers. Slowing dementia’s symptoms with medication could reduce healthcare costs by delaying going into a nursing home. This also allows time to make decisions about future care and receive the patient’s input. However, waiting too long can cause problems because many facilities won’t accept those with severe dementia, at which point the family must scramble to find a place and may have to settle for an option that is inconvenient or doesn’t have the quality of care desired. Government or nonprofit agencies can provide support for the patient and caregiver. Services might include financial help and emotional counseling for both the patient and caregiver. The individual with dementia can have conversations with loved ones about what kind of treatment they want. They can fill out financial, legal and health advance directives before losing the ability to communicate. Without these directives, families often face wrenching decisions about their loved one’s care, such as what to do when the person can no longer eat or drink. If these conversations are put off too long, family members may have to go to court to take control of their loved one’s affairs, a costly and difficult process. Those with dementia face problems different than those with a physical disease, such as cancer. Because they often can’t express their feelings, dementia patients may be undertreated for pain. At the same time, they may receive interventions, such as forced food or drink, which might not be appropriate or helpful. Palliative care focuses on making sure the patient is comfortable, rather than trying to heal them. A team of doctors, nurses, social workers and other specialists work together to improve quality of life for the patient, the family and caregiver, whether a spouse or family member. Statistics show that those taking care of loved ones with dementia have a much higher risk of getting sick themselves—even dying—compared to those not offering such care. Many private insurance companies and health maintenance organizations offer palliative care benefits, while Medicare Part B offers some benefits. Medicaid’s hospice and palliative care coverage for people with limited incomes varies by state. To help your loved one and yourself, watch for these indications of dementia. Dementia is a collective term, not a disease, that describes various symptoms of cognitive decline, such as memory loss. Alzheimer's is the most common type of dementia, accounting for 60 to 80 percent of cases. Vascular dementia, which occurs after a stroke, is the second most common type. Memory loss. As we age, it is common to not remember as well as we once did. But those with dementia forget the names of people close to them or major life events, like retiring or taking a big vacation. Not only can they forget what something is called but also its purpose. They may ask repeatedly for information or tell the same story over and over. People with dementia often get lost, unable to find their way to the grocery store or the retirement community’s dining hall. They misplace items or put them in inappropriate places, like storing a plate in the bathroom closet. They forget to pay bills. Lapse in judgment. Those with dementia can make poor decisions, like donating money to every nonprofit organization that contacts them. The person might dress strangely, wearing warm clothes in summer, for example, or not shower or bathe. They forget what is appropriate, so they may barge into someone else’s house or apartment without knocking. Commonly, they lose inhibitions about sexual behavior, such as making inappropriate comments or exposing themselves. Personality change. A sociable person can become withdrawn, or someone who is shy may suddenly start to do embarrassing acts, like removing her clothes in public. People with dementia often become more depressed, scared or anxious, and some become paranoid, certain that the caregiver is stealing. Moods can change swiftly, from calm to anger and back. Difficulty with language. The person uses the wrong word for something familiar, like calling a garbage can a coffee maker. They might refer to the post office as “that place you take the mail.” Or they can’t find the word at all, so they stop joining the conversation or trail off in the middle of talking, as if they’ve lost their thought. Similarly, they have a harder time comprehending conversations and may need to have something explained repeatedly before they understand. Tasks become difficult. Chores and activities that have been easy are suddenly challenging for people with dementia. The basics of cooking are now out of reach, washing clothes can be a stretch, and planning a big Thanksgiving dinner is impossible. Money management, especially, eludes them, so they don’t pay bills or correctly balance their checking account. Playing the person’s favorite game is no longer possible because they can’t remember the basic rules. Other possible signs of dementia are changes in vision, so the person has a hard time reading; not knowing the time or date; and loss of motor functions, so walking becomes more difficult. "10 Early Signs of Alzheimer’s," WebMD. "Importance of an early diagnosis," Alzheimer’s and Dementia Alliance of Wisconsin. "Forget me not: palliative care for people with dementia,” June 2007, Postgraduate Medical Journal, U.S. National Library of Medicine. "Dementia and Palliative Care,” Get Palliative Care. "11 Early Signs of Dementia,” Everyday Health. 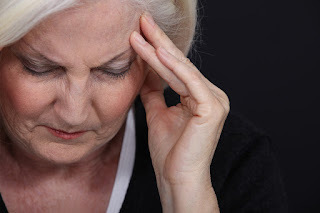 "What are early signs and symptoms of dementia?” eMedicineHealth. Labels: alzheimer's disease, dementia, diagnosis, should i get a dementia diagnosis?, signs of Alzheimer's, signs of dementia, why should I get a diagnosis for dementia?